What is “One Person. One Price.”? You’ll work with just one person from your test drive to your drive home. 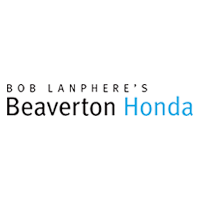 At Bob Lanphere's Beaverton Honda, you’ll only work with one person, your sales consultant, who helps you from drive-up to delivery! That means you won’t be introduced to multiple managers or even a finance manager, because our sales consultants have been trained to do everything themselves! We post our best price clearly on the window of every new and used vehicle, so there’s no need to negotiate- we’ve done the work for you! Whether you’re an experienced buyer, or this is your first time, you can be sure you’re getting our best price without having to work for it! Doesn’t that sound like a stress-free way to shop and do business? We think so, too.